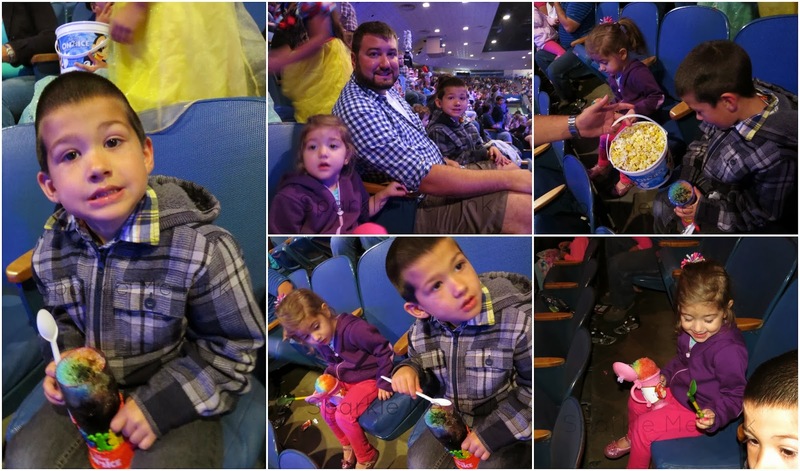 If you are looking for something to take your whole family out to and enjoy, this is it ! True story Mike, myself and the kids drove 2 hours to this show - that is how excited we were about it !! I did receive complementary tickets to the show in return for my honest review of the show. We arrived to the arena just in time for the show to start. And I mean just in time They started at 7pm on the dot ! 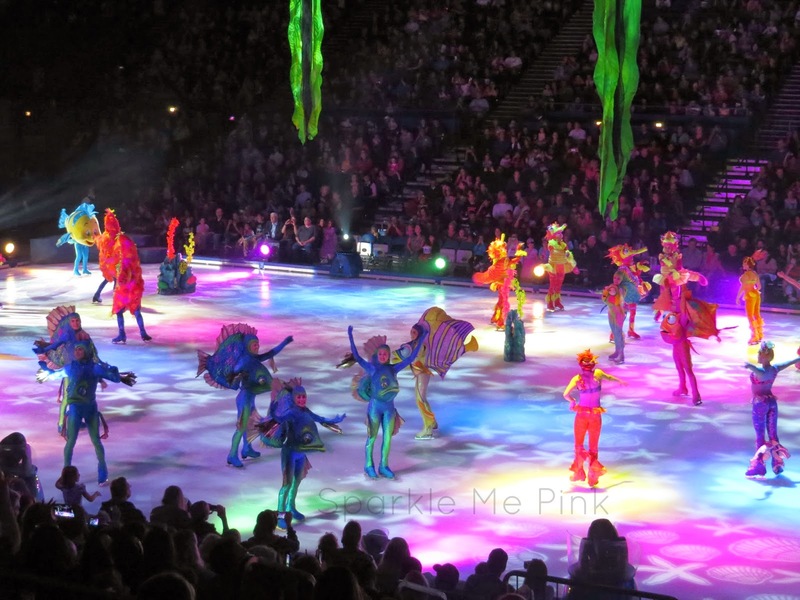 Which threw me off a bit since there were a lot of people still trying to find their seats but they were already out on the ice. 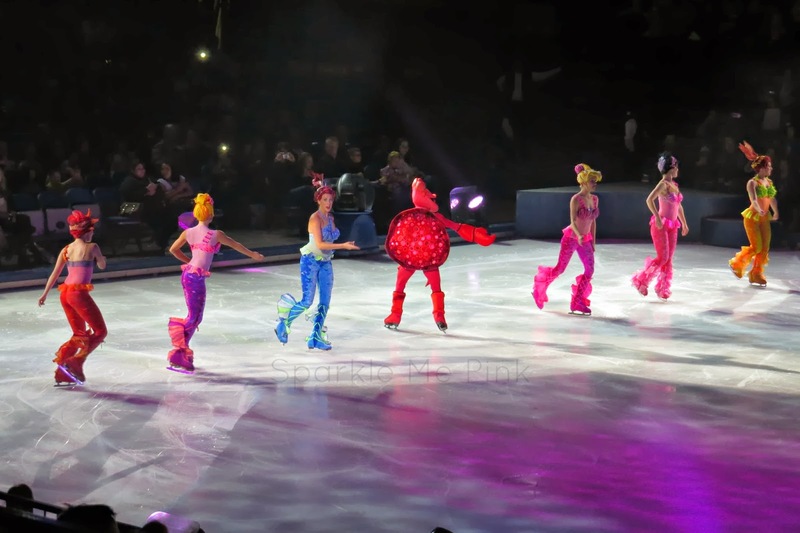 Either way Mickey, Minnie, Donald and Pluto were out on the ice and started the fun festivities. 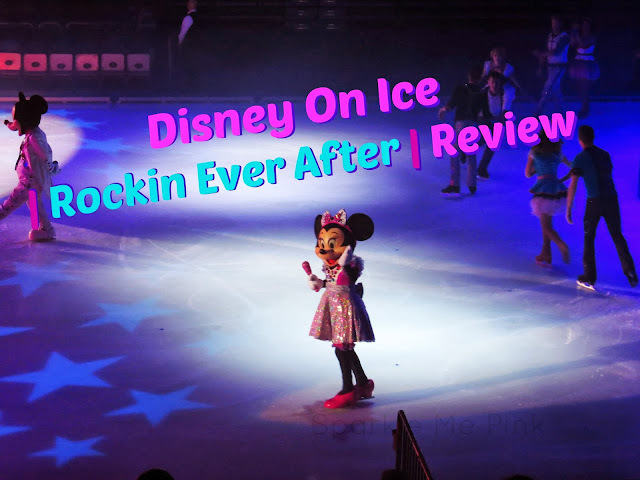 Beginning Rockin' Intro, Cinderella's step sisters duet, Little Mermaid, Tangled, Intermission, Brave, Beauty and the Beast and the Rockin' Finale. 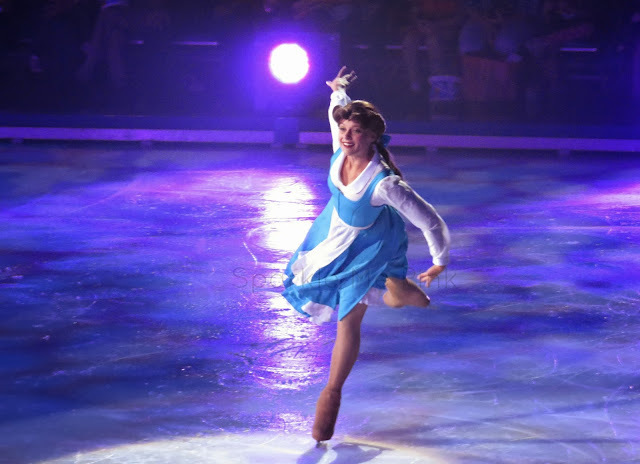 In each part, specifically the Little Mermaid, Tangled, Brave, Beauty and the Beast segments, they played out a fast forwarded version of each story along with each of their popular songs. 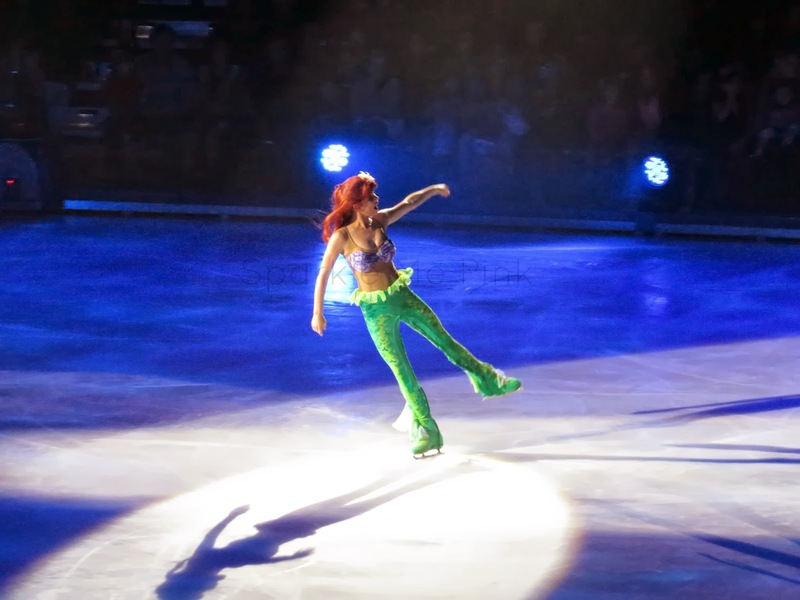 First princess out on the ice was Ariel. 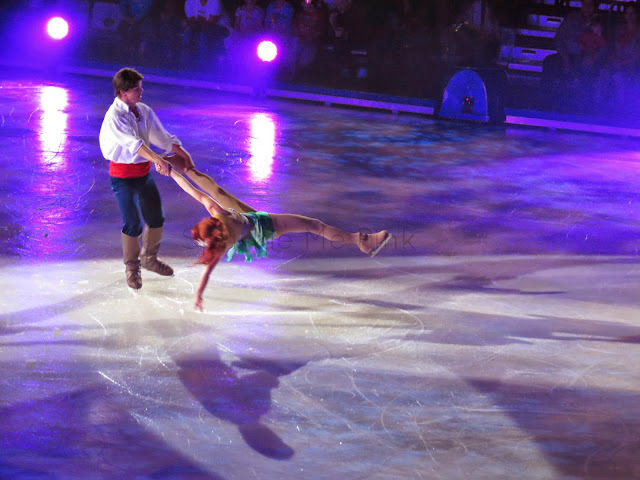 I don't want to give away too much but Ariel does some pretty great skating tricks with Prince Eric as well as - lets just say in the air - pretty cool ! Mike even cracked up when Flounder came out ! Followed by Rapunzel she was so stinkin' adorable !! Next was the intermission where Mike went and got the kids some shaved ice in fancy Disney cups and a Disney bucket of popcorn. Necessary no, super cute yes. 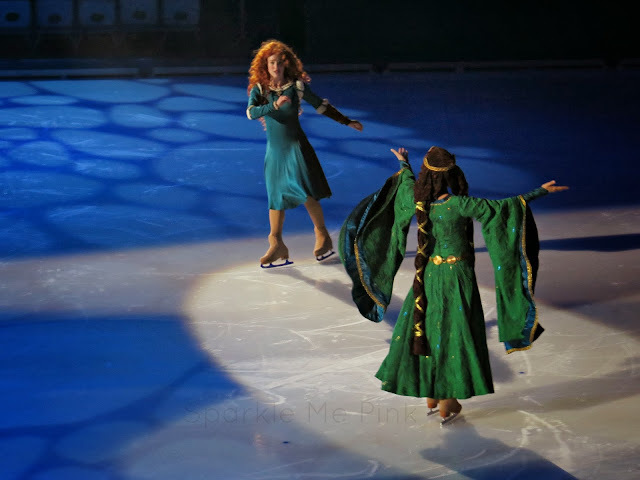 After the break Merida came out along with her mom and 3 little brothers. 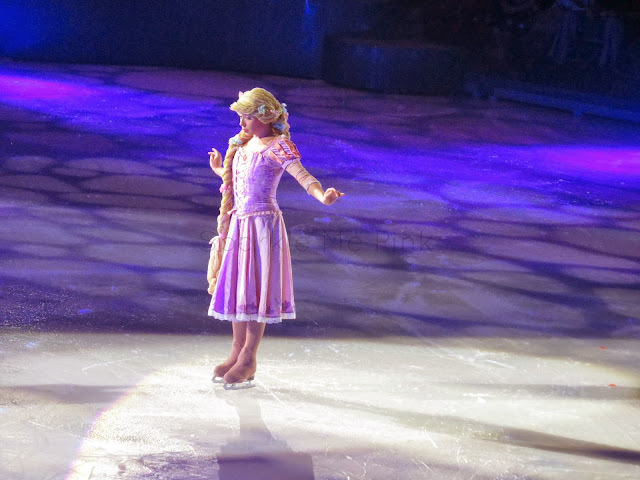 My favorite part was (of course) Belle. Sophia gasped when Mrs. Pots, Chip, Clogs worth and the whole gang came out.